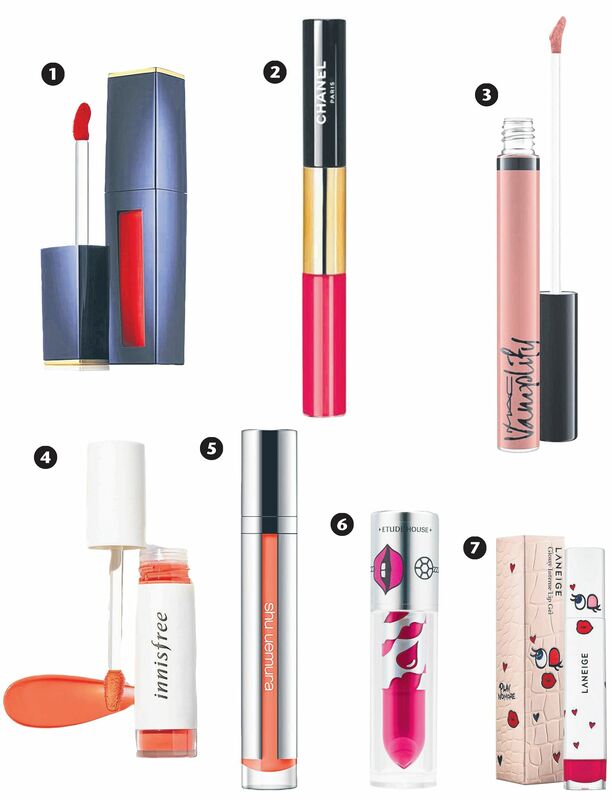 Here are some shiny, glossy and ultra-pigmented liquid lipsticks to look out for. Wear them on their own, or layered over a complementary lipstick shade for extra drama. Creamy, richly pigmented and long-lasting with a matte finish. It stains lips too, so you are not left with an ugly outline of colour around your lips as the day passes. Style picks: Lethal Red, a classic red; and Naughty Naive, a bright pink with red undertones. This product comes with two ends. There is a semi-matte, pigmented and long-wearing liquid lipstick on one end, and a clear gloss on the other. Wear the colour on its own or layered with the gloss. Once it sets, it can be removed only with a waterproof make-up remover. Has a high-shine finish. This lipstick is pigmented enough to give lips an opaque colour in one coat. A translucent and moisturising gel liquid lipstick with a glossy finish. It also stains lips in a vivid shade. This product has a cream-to-powder finish. When blended, it gives lips a matte and soft tint. Wear this in a slightly thicker layer for a bold pop of colour with a satin finish. The tint doubles up as a cream blush. A creamy liquid lipstick that feels like it is barely there. The colours are bright and have a soft shine. Glossy, with a liquid gel texture. Stains lips and gives a bright, opaque colour in one slick.